India’s External Affairs Minister Sushma Swaraj gifted to the Bangladesh Prime Minister memorabilia of the Bangladesh Liberation War of 1971. 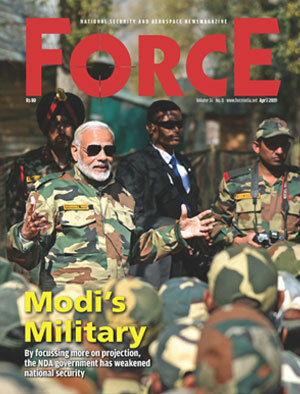 The memorabilia included military equipment utilised by the joint forces of India and Bangladesh as well as a large number of artifacts and documents, including historical photographs, archival audio and video clippings, maps, battle records, newspaper clippings, and documentary films. 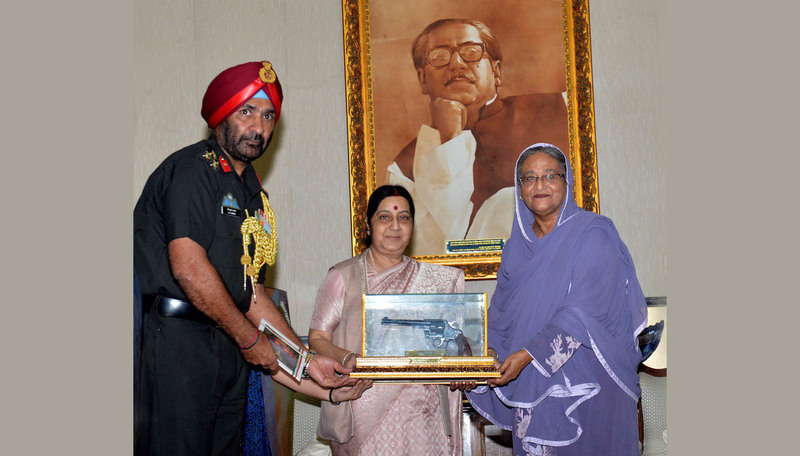 One of the war memorabilia included a 1971 vintage pistol which was handed over to Prime Minister Hasina by Brigadier Nanda and External Affairs Minister Sushma Swaraj, as it can be seen in the picture above. The collection is proposed to be displayed at the Bangladesh National Museum in Shahbagh and the Museum of Independence in Suhrawardy Udyan in Dhaka.